A pretty tea light holder that reflects the light beautifully. Crystal T-light holder stands 8cm tall and comes presented in a black silk lined gift box. 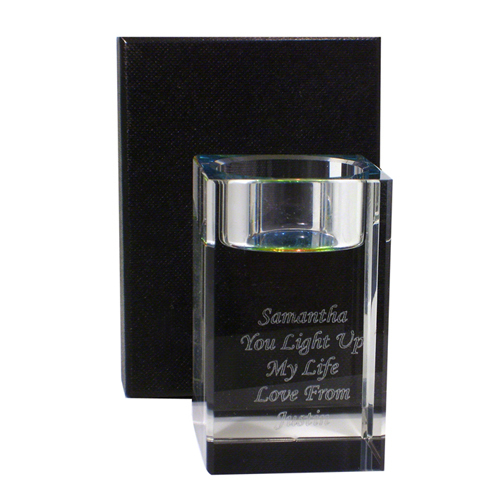 The tea light holder itself can be engraved with any message you like over 4 lines and up to 15 characters per line. Engrave with any message you like over 4 lines and up to 15 characters per line.